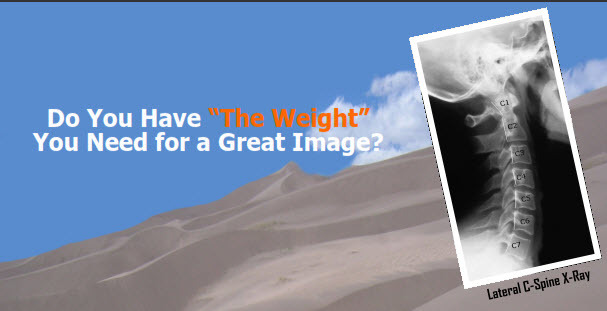 We recognize that you need optimal weights to get a correct lateral C-spine image. That’s why our cervical sandbags are available in both 5, 10, and now 20 lb weights. We also know that sandbags are used for many other applications, so we’ve expanded our product offerings to include 18+ designs & 15 kits. Whether your working with pediatric, athletic, bariatric, or the elderly, we have a sandbag to fill your need. Custom sandbags also available. 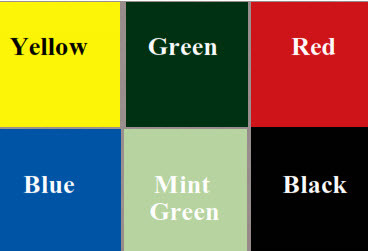 What Color do you want? 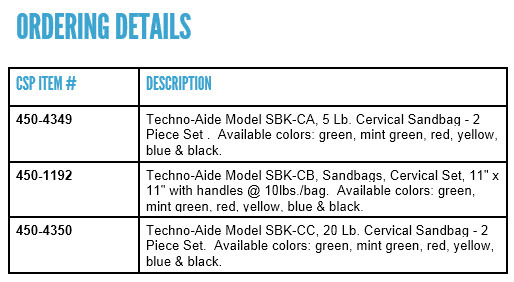 Our sandbags are available in green, mint green, red, yellow, blue, and black!